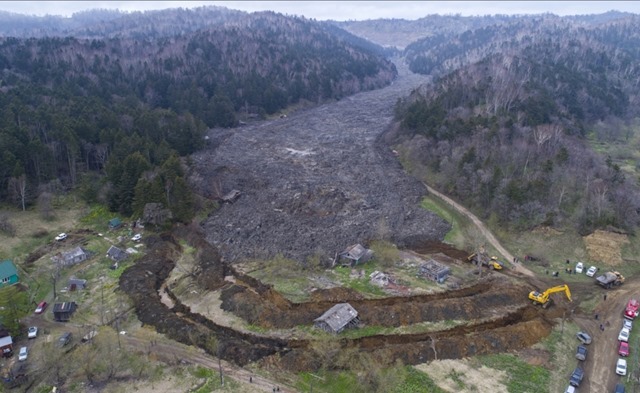 In Gornozavodsk (Japanese: 内幌町, Naihoro) town on Sakhalin Island, on May 14, 2018 a long anticipated coal-mud flood consumed several buildings and farms and now creeps towards the highway and nearby rivers. Coal miners are routinely allowed to store waste in dangerous locations, displace local residents, pollute salmon-spawning rivers and pay only minimal fines for all violations. 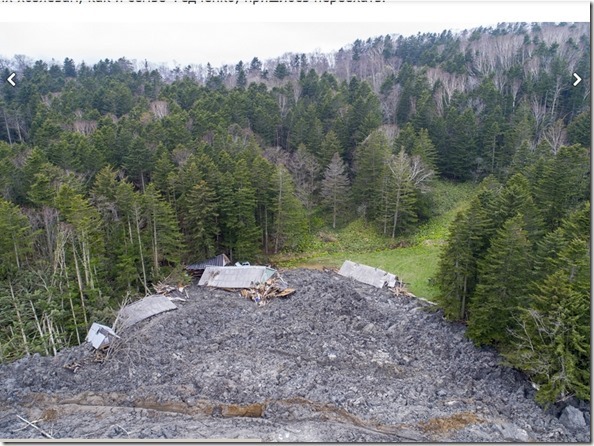 On Monday morning, the mass of waste earth and rock, that came from the storage of «Gornyak-1» Mining Company, destroyed the house and outbuildings of local retired couple. Family members have not been injured, since they escaped collapsing building through the window wearing nightgowns. Destroyed property as of May 15 included residential building, barn, truck, tractor, and other agricultural equipment. Mudslide killed 10 cattle and destroyed adjacent forests. Residents of two other homes on the Bamboo Street had to evacuate due to immediate threat. Triggered by heavy rain, the mass is moving with the speed of 1 meter in 10 minutes,heading towards other houses, road and rivers known for salmon spawning. 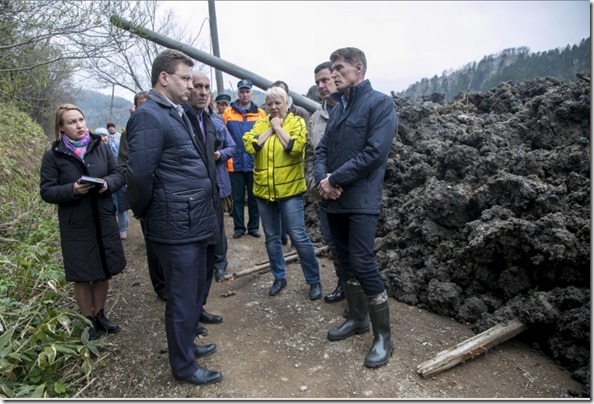 «The owners of the coal company will pay victims compensation for lost home and property, as well as those families who are in need of resettlement because their housing was now in a dangerous zone», — promised the Governor Oleg Kozhemyako according to his press-service. The most amazing is the fact, that this particular tragedy was slowly unfolding since March, when residents urged the company not to store waste rock on the hill above their houses. Similar devastation at many other locations is caused by coal-mining industry, which spreads its waste storage throughout the vast mining area and even obvious threat to salmon-spawning rivers does not make authorities to react properly to this mismanagement. 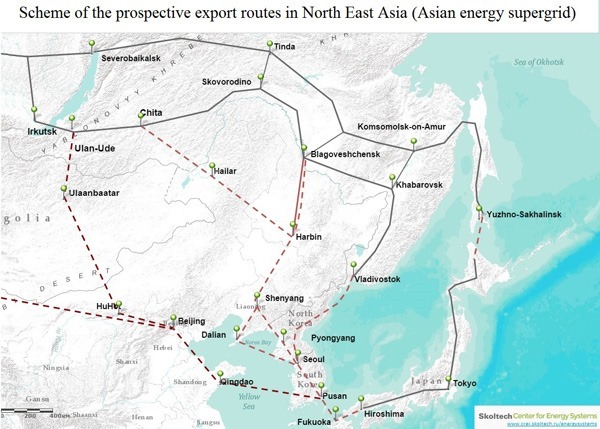 Sakhalin Province recently experienced boom in coal exports to Asian countries, which imposed domestically environmental restrictions on their mining and energy sectors. However, this particular mine is expected to feed a new thermal power plant presently built by RusHydro Co. 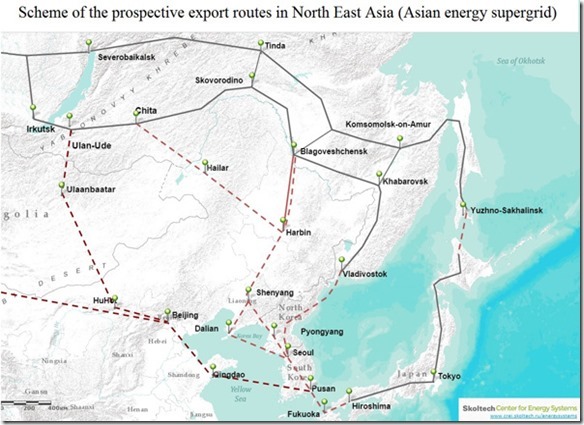 Authorities hope that Sakhalin Province eventually becomes the source of electricity for “Asian Energy Ring” and in particular will be exporting it to nearby Hokkaido Island of Japan. If this happens coal-mining would experience rapid growth and such incidents will become epidemic. Rivers without Boundaries welcomes recent decision of Japanese insurance company not to invest in coal energy sector abroad and hopes that the rest of Japanese business will follow this example. 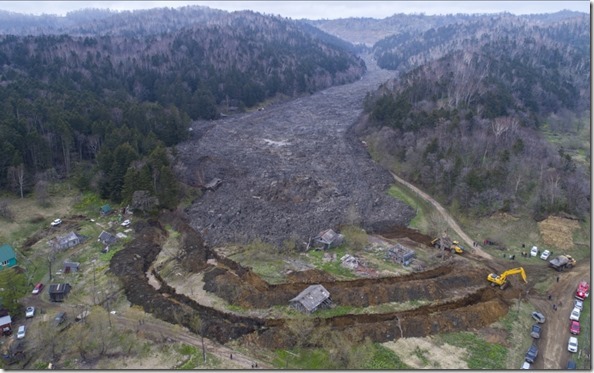 Such decisions may lessen likelihood of exacerbating disasters like this in coal-mining regions of adjacent countries.